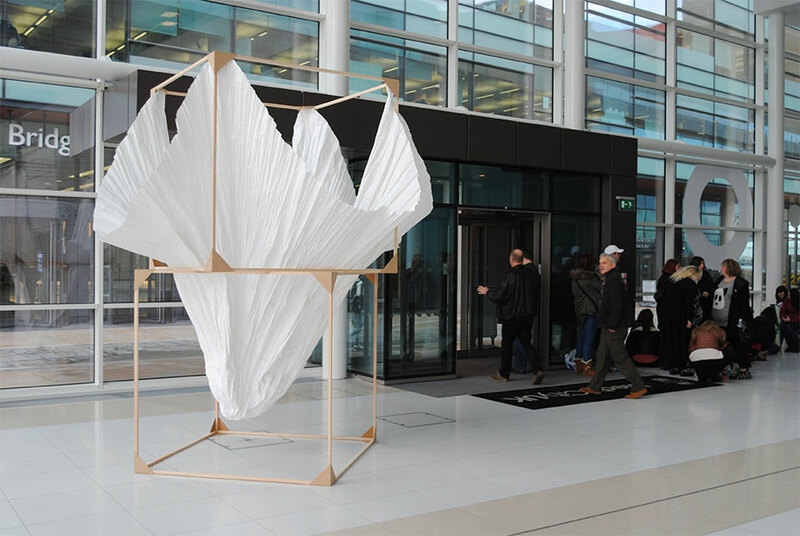 I was happy to make new work for the Culture Quays Sculpture series in Manchester. 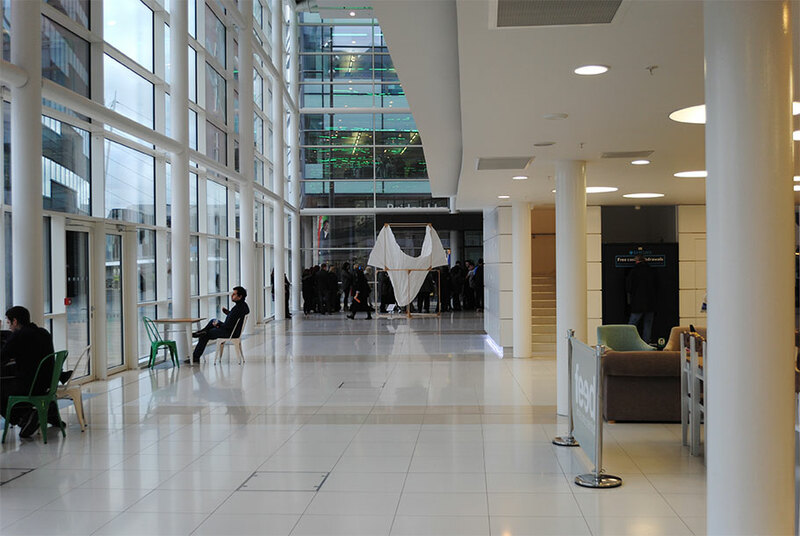 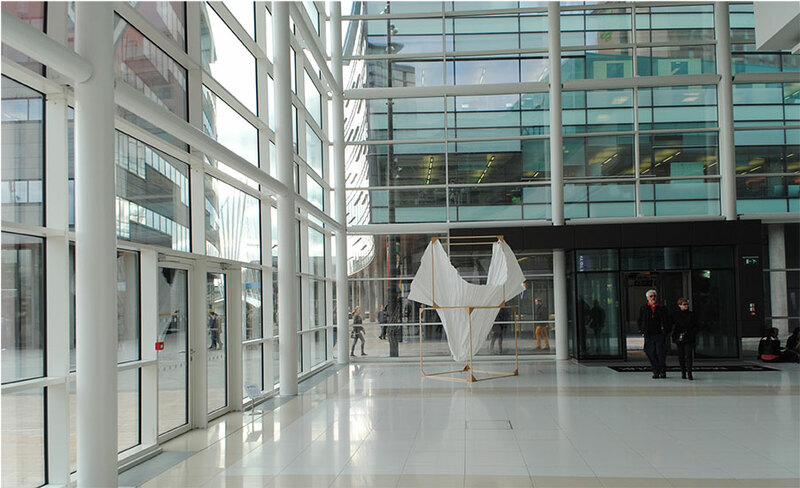 The work is installed in the foyer of the BBC building. 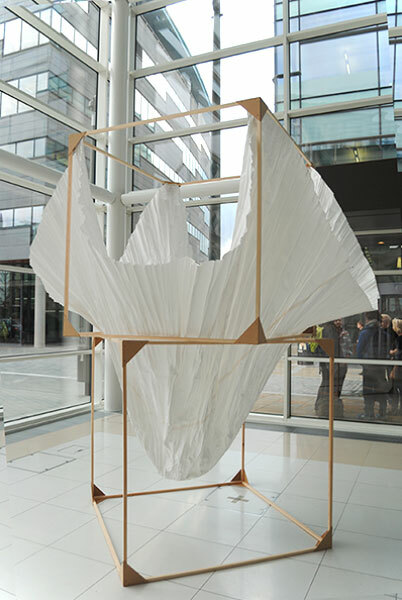 It’s made from a piece of 20 square meter sheet of white Fabriano paper suspended inside two wooden cubes. 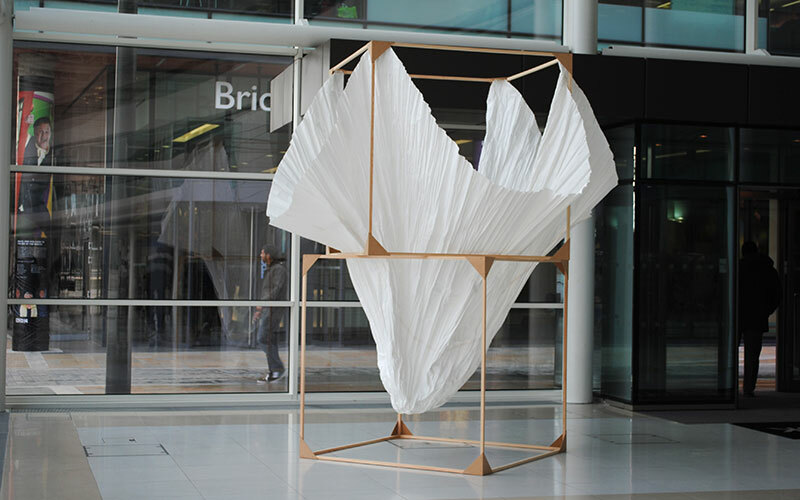 I spent two cold weeks at the end of 2013 beating creases into this sheet of paper with a wooden mallet.